Wire ropes are used on machines that lift and move heavy loads. Because of the potentially high loading on wire ropes, they can be one of the most dangerous pieces of equipment at a worksite. 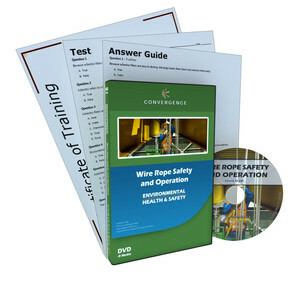 In this course, you will learn which personal protective equipment to wear while using wire ropes, safety guidelines for working with wire ropes, and how to recognize potential wire rope hazards. Because of the potential for accidents, knowing how to properly use and safely work around wire ropes is crucial to your safety and the safety of your co-workers. DBI-SALA 8705124 200 ft. Kernmantle Rope Lifeline - 1/2 in.